So you’re interested in using WordPress as your business site – smart move! 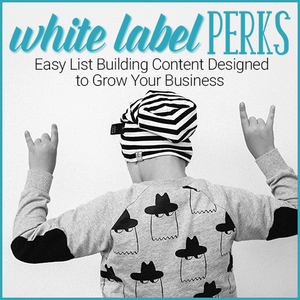 I got lucky when I started online because I got turned on to WordPress right away. Some of my friends told me stories of how they had to build sites from the ground up with the dreaded html… Not sure I’d have the patience for that so needless to say I’m very happy with all that WordPress does for me! If your trying to figure out what platform you want to use to build your site I want to share a little more about the benefits of WordPress. With a good hosting program you can simply install WordPress with a few clicks. I was very intimated at first because I didn’t really know much about the tech side of things and I didn’t want to break anything that I couldn’t afford to fix. With the help of my hosting company, Bluehost, I was able to get WordPress installed without a hitch. One of the features of WordPress is the easy to use visual editor. It’s called a WYSIWYG (what you see is what you get) editor. You could compare this type of editor to using Microsoft Word to edit your website as it’s very easy to use and many people catch on to use it quickly. I’m a very visual person so it helps me tremendously to be able to see how something is going to look as I’m working on it rather than looking at a bunch of code and try to visualize how it will look. The latter just doesn’t work for me. 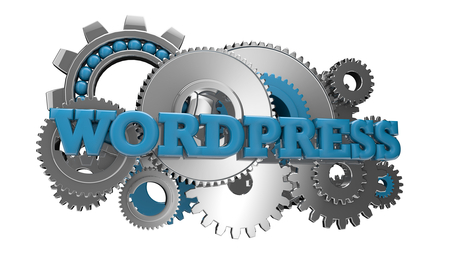 With WordPress you can get add-ons, called plugins, that increase the functions and change the look of your website. Plugins can help you customize your site for your unique business without the potentially huge cost of hiring someone to do it for you. There are many ways to customize a WordPress website so that it matches your business and branding. You can add your own logo or header, change the background, add your own colors, add links and more. There are also whole themes you can use to change the look of your site without actually having to go in to change each element which is so nice if you don’t have the skill or desire to do it yourself (see more below). On my blog I use the Focus theme from Studiopress. What many people who are not familiar with WordPress are unaware of is that you can use the program to create both a website and a blog all in the same spot. This is so much more convenient than having them separate. Another great feature of the program is helps you optimize your pages and posts. I don’t know anything about SEO and I’m not really interested in adding it to my plate anytime soon so this really helps me out. If you choose to also have a blog on your website you can work on building a community around your website. Writing blog posts that build relationships with your target market is an effective way to build trust and earn more sales in the long run. As businesses grow and change so do their website needs. It’s silly to assume that the first website or design you start with will be your last. Most businesses go through a large number of changes. WordPress makes it easy to change your look with themes. A theme is added over top of the content and so when replace a current theme it doesn’t affect your existing posts and pages. I hope these points will help you decide if using a WordPress blog as a business website is the right choice for you. Now if you’re interested in learning more about how to make a website using WordPress then I’d like to point you to a full course by Angela Wills on how to start from scratch and build a business website using WordPress. She’s a wiz at WordPress and this program is the first experience I had building a website when I took her course back in 2011. Angela’s a great teacher so go check it out: Website Design Mojo. Oh I gotta tell you she’s have one heckuva sale right now too!